Allow yourself time to unwind and enjoy all the seasons and beauty of nature in this fine home. Built with plenty of bedrooms and bright open spaces for relaxing and entertaining. 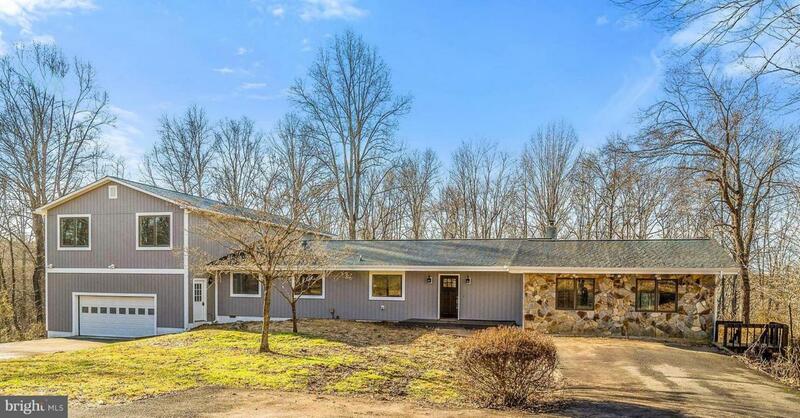 This Lindal cedar home had a major addition in 2004 and was recently renovated and updated. Quality construction includes Anderson windows, hardwood flooring, quartz countertops, vaulted wood ceilings, gas heat, new 50 year shingle roof, interior painting and ceramic baths. Complete with two master suites, two laundry rooms and spacious great room and entertainment room. This home reflects the personality and taste of those accustomed to the best in design, finishes and lifestyle.Private wooded lot offers Carters Run frontage and approximately 2 open acres. Covered porch with composite decking and inground pool invite you outside. Sunroom offers additional quiet space and outdoor views. Located conveniently close to Warrenton and Marshall yet surrounded by this comfortable lovely year round setting. Perfect creative spaces to get back to all the things which are important to you.